It has been a long time since I went out and did some serious shopping or splurged. I also usually set a budget before heading out so that I do not go overboard while shopping. It was one such day that my husband and I went out without any intentions for shopping and I just happened to spot a BIG SALE sign outside LOVISA, which is one of my favorite accessories shopping destination. So naturally I just got tempted and wanted to see if anything was worthy enough to be picked up. I was initially kind of not very happy with what I was finding because they all seemed pretty similar to what I already have or some were too huge & chunky which I might not even wear. But during a sale, it is very important to closely look at every rack because there will always be a hidden gem. When I started spending more time and looking carefully, I did manage to spot some great stuff at great prices too! 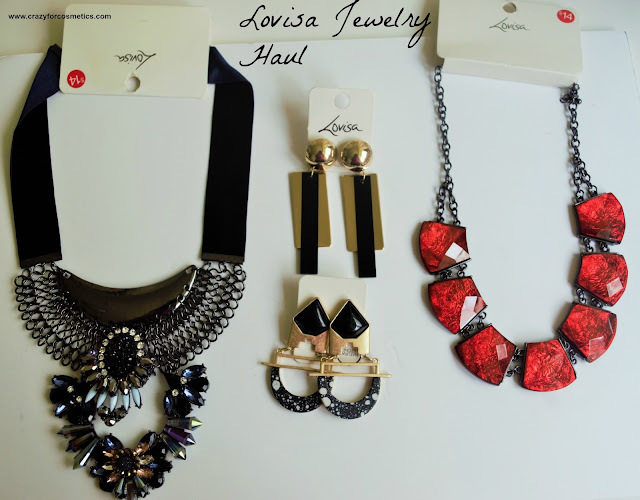 I got 2 statement necklaces and 2 earrings at a very affordable price. 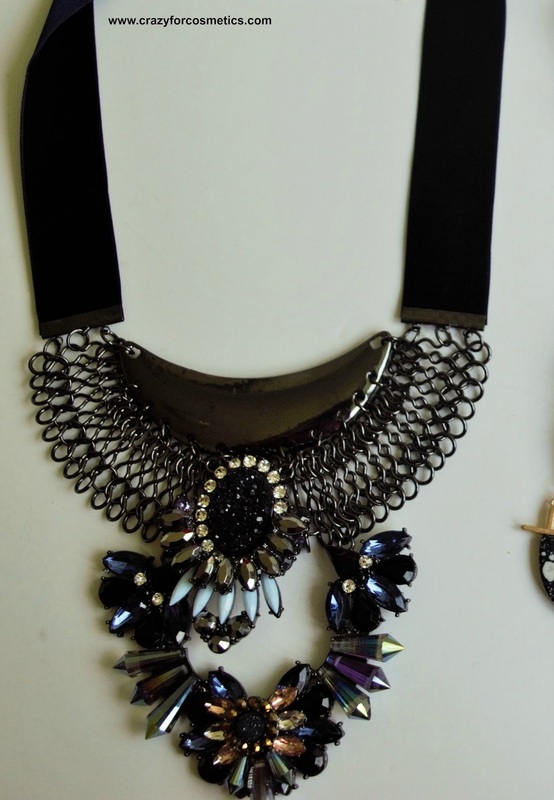 The statement necklaces originally cost SGD 40 & above and during the sale , it was for SGD 14 each. I am sure it can be a tough task to find such great quality pieces at such affordable rates and it was such a great deal. The earrings each cost SGD 20 but during the sale, it was BUY ONE GET ONE FREE. The Blue Velvet Necklace is super chunky and at the same time very elegant when worn with plain shirts or dresses. It looks chunky but at the same time it is not heavy and it feels very comfortable when worn. Velvet is totally in now after so many years and I am so happy to be sporting it which makes me nostalgic. 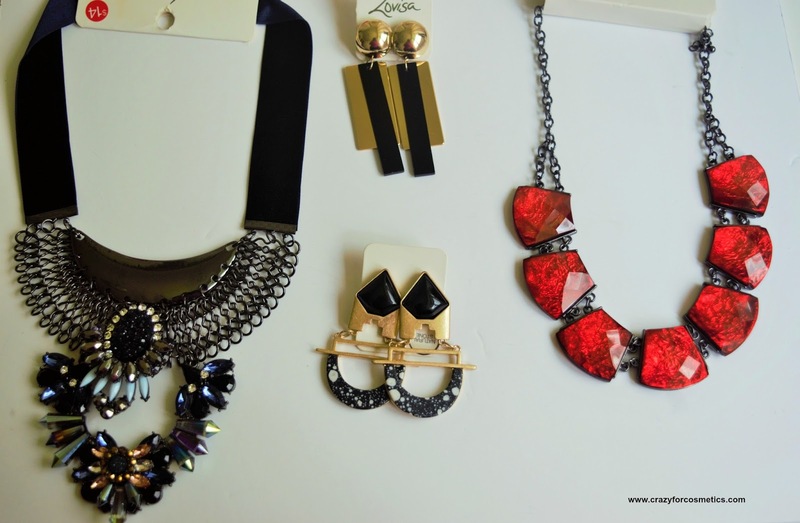 The red stone necklace costs SGD 14 as well and the stone looks super glossy and it reflects light beautifully. 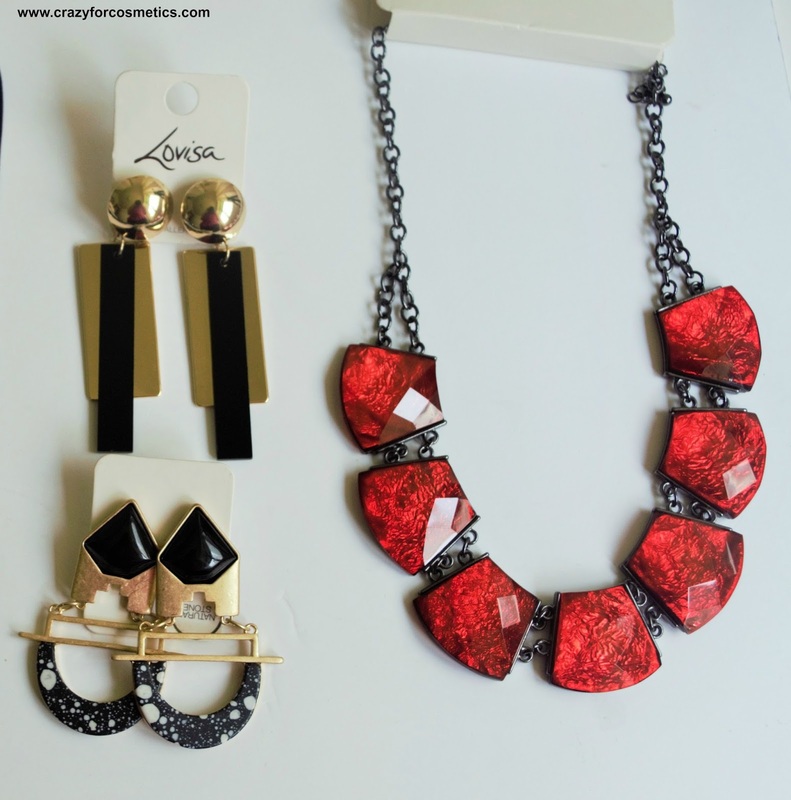 I love black and gold combination and the earrings are just amazing with natural stones which make them classy. They can be worn along with plain black, white, cream or red dresses which make them super versatile.